For the first time, the government used radio frequency tags to track Amarnath-bound vehicles, while the Central Reserve Police Force introduced motorcycle squads with cameras and various life-saving equipment. The security was heightened for this year's yatra in view of the militant attack on a bus carrying pilgrims last year that left eight of them dead and 18 others injured. Around 40,000 security personnel from the Jammu and Kashmir Police, paramilitary forces, National Disaster Response Force and the Army were deployed for this year's pilgrimage, the officials said. 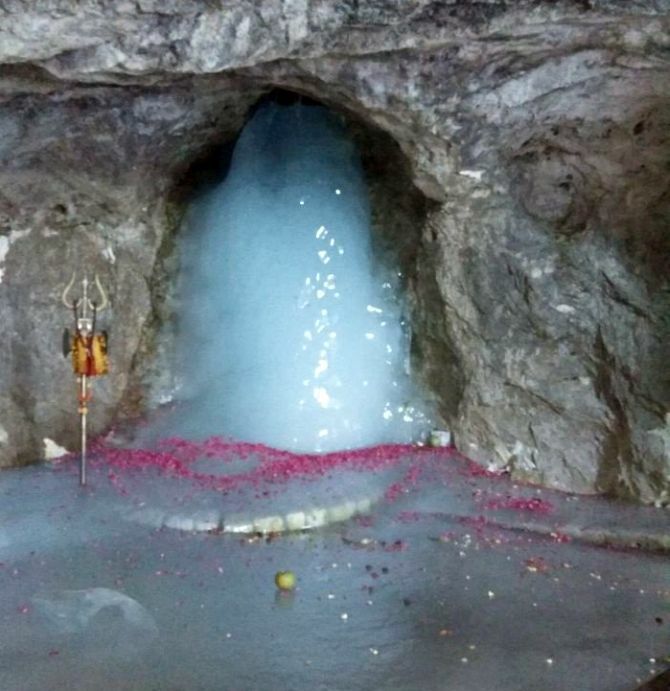 The holy mace of Lord Shiva, popularly known as 'Chhari Mubarak', carried by a group of sadhus and devotees led by its custodian Mahant Deepindra Giri, arrived at the holy cave in the wee hours for the day-long prayers, the officials said.